I’m sent a lot of electronics to test, play with, and give feedback on, but while many don’t make it for a full review here; others so seamlessly blend in with the tech gear and gadgets I travel with, I almost forget how useful they are for a traveler. 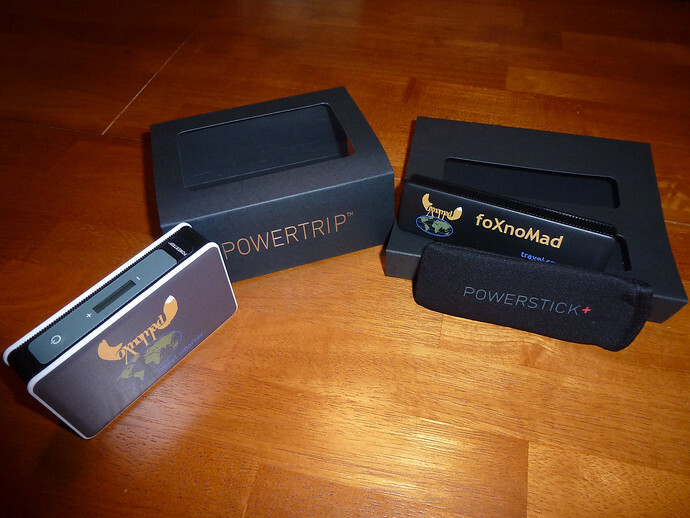 That is the case with two Powerstick chargers I was sent by the company in late 2013: the PowerStick+ and the PowerTrip. Over the past 2 years the PowerStick portable batteries have become an integral part of keeping my gadgets charged on the road in a way that’s reliable, quick, as well as efficient with or without a wall outlet. 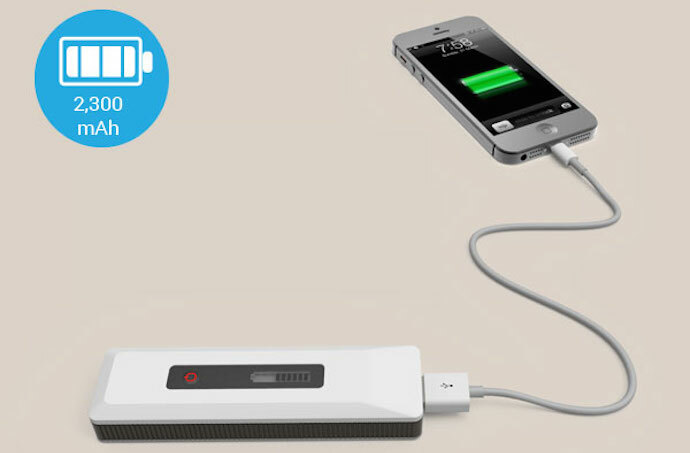 Two portable batteries that can charge up most of your gadgets, save for a laptop. (Too much juice required for most portable battery packs.) 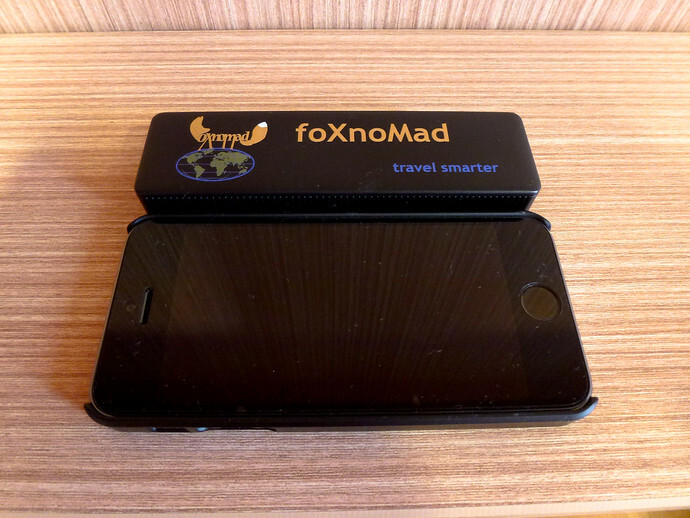 The PowerStick+, about the length of an iPhone 5s, roughly twice as thick, weighs approximately 80 grams (2.82 ounces). The PowerTrip is a bulkier, slightly wider than a credit card, 2.54 centimeters (1 inch) thick, weighing about 198 grams (7 ounces). 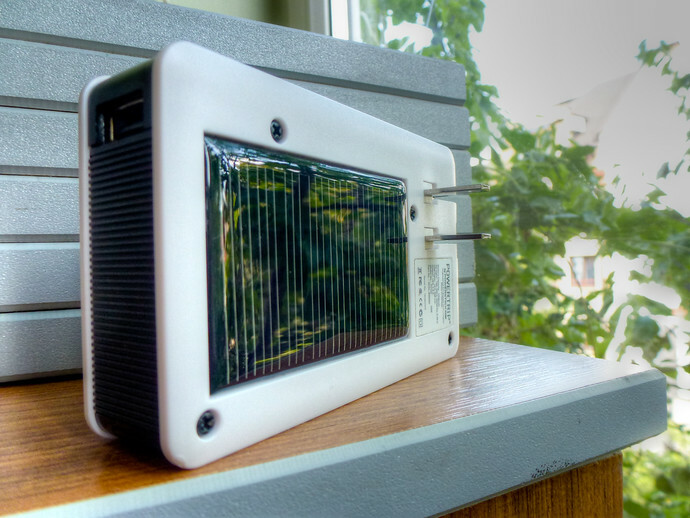 It carries more power and has a solar panel on one side allowing you to recharge without the use of a wall outlet if needed. How Much Can They Recharge? The PowerStick+ is a 2300 mAh battery, meaning most smartphones can be charged from nothing to 80%. (Apple iPhones, whose batteries are anorexic can be charged from zero to full easily.) The PowerTrip is a 6000 mAh battery that can bring nearly two iPads back from the electrical dead. You charge the PowerStick+ by USB and in my experience it takes about two hours to get a full charge. (For faster charge times you’re better off getting a USB-to-outlet adapter rather than using your laptop.) A great feature of both the PowerStick+ and PowerTrip is that they retain charges for around a year – meaning you don’t have to charge up and use either relatively soon for fear of losing the stored power. The PowerStick+ is straightforward and charges quickly but the small gripe I have with the PowerTrip is that is can take a little long to charge up. Around 7-8 hours if it’s plugged in to a wall outlet isn’t too bad for a battery this size but if you’re like me and often forget to charge it the night before a train ride across England it can be disappointing. Also, the solar charging is hit or miss, despite my best efforts to toast it under the Egyptian sun in Hurghada, for example. Although I would like faster recharge times for the PowerTrip specifically, I highly recommend both the PowerStick+ and PowerTrip. They’ve become absolutely essential for me personally, finding I rarely worry about not having an outlet around on a long journey because both batteries can power my devices for over 12 hours. Remember though it’s still worth taking care of all your batteries when traveling to get more life out of any charge. The PowerStick+ starts at $65 and PowerTrip is $99 with more expensive models available that give you some data storage space as well. You’re better off saving your money and getting the least expensive PowerStick+ / PowerTrip models; splurging on a decent-sized USB thumb drive if you’re really crammed for space. Both batteries come with cases plus, for some flair, the option to print any custom design you want when ordering directly through their website, PowerStick.com. I’ve always been a big fan of these kinds of posts. I am curious though, don’t you feel like power banks in particular suffer greatly from being two years old (electronics becoming cheaper and better with time after all)? I bought a 11,000 mAh powerbank in Thailand about a yr ago for $30 and it has been amazing. Charges multiple devices to full, or my phone about four times. Great for using it in the forest or something. I’ve also seen 20,000mAh banks these days and they aren’t that big or heavy. I agree with it being essential. I got my phone jacked in Peru and it is much safer to risk a $30 power bank in an unguarded socket than my phone. I like the longevity of these batteries, I have tested their capacity regularly since I’ve had them and they’ve retained a lot of their initial maximum. How long they hold a charge too is a benefit. Batteries are one type of tech that doesn’t follow (quickly or well) the decreasing price to increasing power ratios most other electronics do. So basically, is like a normal powerbank. They are awesome invention but if they are lighter, cheaper and able to charge a lot of times, then is good enough. No matter how fancy it is, as long it can function, is all good for me. It’s not bad having a “reserve power supply”. I’m getting more and more interested in this stuff.